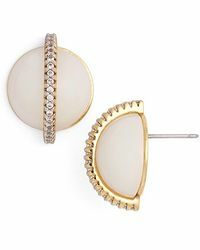 Rachel Zoe has been an influential figure in the fashion industry for over two decades. 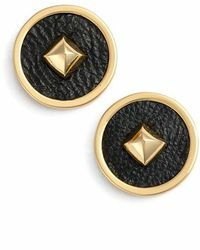 Making her name as a stylist to the stars, fashion editor and TV personality, Zoe went on to launch her eponymous fashion label in 2011. 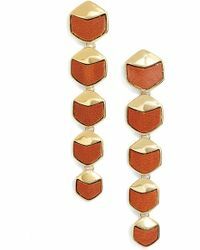 Designs are inspired by the 60s and 70s vintage clothing that she helped to popularize in the fashion industry. 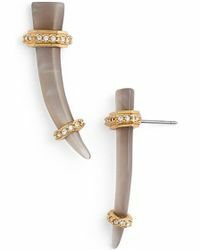 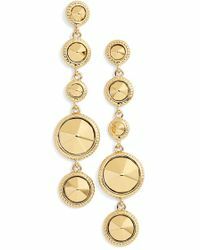 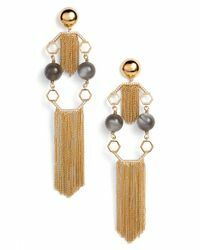 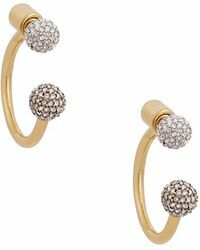 Retro gold knots and elaborate drop-down tassels combine to create this range of Rachel Zoe earrings. 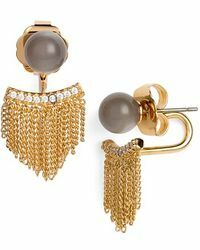 Recalling old-school Hollywood glamour, the designs will add drama and sparkle to an evening outfit.